I’m recommending that because this is an update on this podcast’s future, which is targeted at those who listen regularly, and therefore hopefully care about that future. And it’s probably gonna be a lot of detail for even some of the show’s biggest fans. Because I really want to explain my thinking and present a nuanced take on we’re going from here for that minority that’s really interested in the whole story. So. For those who want to leave now, the cliff notes are that this podcast will continue at least until the end of the year, and hopefully well beyond that. Although, with some changes in frequency - or at least in the frequency that I’m willing to commit to. So with that quick summary, you are free to go. But, if you’re patron, though you too are of course free to go, but you may want to listen to most of what follows. Otherwise the rather long audio post - about 35 minutes I think - that I made to my patreon feed won't make a whole lot of sense to you. As most of you probably remember, back in the winter I solicited your help in keeping this thing viable. Up until then, I’d done it strictly as a passion project, with zero Revenue model. But that was unsustainable, and I wanted to get to a level where I could keep things going indefinitely. My two objectives were to get $4,200 in patreon support per month. And to 50,000 listeners, which I felt would enable me to take on advertising in a quality way. So where are we now? Well, I came up short, but encouraged, on both fronts. Let's start with patreon. As I recorded this, I have 626 patrons who are collectively supporting me with $3,352 per month. That's about 80% of my $4,200 goal, and I'm deeply grateful, and also flattered by it. The $4,200 goal was kind of arbitrary and also a bit playful. It was my back-of-the-envelope calculation of my expenses for creating the podcast, plus compensation for my time at New York City's inflated minimum wage. At this point I'd estimate that my expenses are being met, and I might even be pocketing a tiny profit. but it's extremely tiny on an hourly basis because I do put about 40 hours into each of these episodes. Which may be more than you’d think, but just recruiting guests of the caliber that I bring to the show is usually be a long process of persuasion and wooing. I also almost always to travel to my guests, and most of them are thousands of miles away - and the nearby ones are generally hundreds of miles. But my main time investment is in research. I do at least 25 hours of prepartion before each interview, getting as deep I can on both the work of my guest, and in their broader field. Because the fields the show explores are very disparate, I usually start at a fairly low level of knowledge. Now, this … learning is actually a delight to me. But it's a huge amount of time, and that's something that I need to trade off when I think about the podcast future. Of course the other metric I was targeting was audience size, because a bigger audience would let me do advertising in a high-quality way. I was hoping to get to 50,000 listeners, but I'm closer to 25,000. Up from a start of around 15,000 listeners in the winter. A shortfall this big is never good news. But I first explicitly asked you to go out of your way to spread the word about this show in early March. My audience had been flat for a few months prior to that. But since then, we had about 65% growth in 3 months. That's amazing! and so I actually feel great about that number too. But unfortunately after many conversations with people in the market, I still think my target of 50,000 listeners is roughly what it’ll takes to do advertisign in a high quality way --. And “high Q way” is a very important modifier. I actually could have had SOME form of advertising with 5000 listeners, possibly less. But I want to wait until I'm in a position to pick advertisers rather than the other way around. and to be the person who writes and recordes the announcements, As happens on so many of the bigger podcasts - and that just requires a larger audience. This is important to me, because so much advertising is annoying, insulting,or deceitful. And I don't want to subject you to that. Also if I'm in a position to pick advertisers, I can go with products and companies that I can tell you sincerely, and in and in my truest voice that this stuff is great. So, while I could have some advertising now, I just don't want to go down that path until I can do so on terms that I’d feel good about. Realistically? If that’s 50,000 people? It’s probably a 2019 thing. Now I'm going to work very hard to come up with a creative approach to this that could get me advertising sooner. But 2019 is the Assumption I'm operating under right now. So where does this leave me? I'm basically at break even with this show and working about 80 hours per months. That's a lot of hours to put it in without compensation, but it's an amazing gift to be able to do something This ambitious at break even. and it's a monstrous Improvement on just a few months ago when I first asked you, my listeners, for some help. So despite the fact that it's currently a hobby rather than a job, I'm going to keep the show going at least until the end of the year And hopefully far beyond that with a couple of modifications which I hope you'll find reasonable. And I'm gonna keep it going for three reasons. First, I simply love doing this. The amount of learning I get to do is just extraordinary. The people a get to sit down with four hours at a stretch are brilliant and inspiring. And also, this gift of attention and time that 25,000 of you giving me move me really deeply. I mean, attention & time are the most valuable things that we have. And my episodes are NOT short! So the fact that so many of you are making room for them in your lives is an immense psychic rewardd. The second reason I'm gonna keep at it is that we're getting there. 65% growth in an audience in 3 months is amazing! And there’s no reason to think the growth will suddenly stop. the third reason I'm gonna keep this going is a exciting one. which is, I have a creative project I want to work on a bit which will be enabled by the work I do in connection to the podcast. 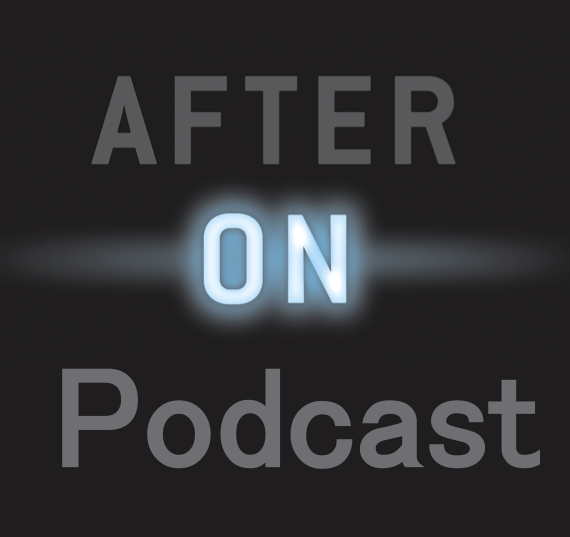 I'll tell you more about that in a moment, but first I want to tell you about the small modification in … terms that I’m providing this podcast under. First, the old terms. In the winter I promised to make two new episodes per month until June 30th in exchange for you guys doing whatever you felt moved to do to support me. unfortunately, I can't solemnly promise that there will be To Fresh episodes every month going forward. That’s the bad news. But the good news is that I'm fairly confident I'll deliver something very close to that anyway. Getting into the fall, I have so many great guests lined up already that I almost have to do two episodes a month to keep up with them. No promises, but for now that does feel likely. Though December like August maybe another one episode month, we'll see. So now- a quick message for patrons. If you're unhappy that I may not keep up the pace I’ve delivered thus far, I absolutely understand if you remove your support. But if you're willing to stick with me, I think you’ll end up supporting something that is every bit as ambitious as the show you first signed up to back. And I will continue to deliver the goods in special content for you with every new episode. I really enjoy doing that, I believe you deserve it, and I feel like it dramatically expands on the full package that the show delivers. Now -- this brings me to the project that I'm going to start dabbling in as of, well, a couple of weeks ago. As a result of all this, I've started finding surprising patterns that connect truly disparate fields that sometimes even my guests aren't entirely aware of. I've also found myself getting more optimistic about Humanities intermediate future than I've ever been.. But paradoxically, I've also found myself getting more and more worried about the many ways that we could blow things badly. I’m doing a lot of thinking about this, and I have a lot to say. But my my interviews and episodes aren’t the right forum for that. When I'm talking to someone who has spent decades in the field we're discussing my novice viewpoint belongs in the background. As does my meta thinking on areas that only partly touch my guest’s work. Now, I do oPine a certain amount - especially in the comments I make at the end of my episodes. But this podcast is all about maximizing the flow of information point of view and personal story from my guests to you. So again - it’s just not the right forum for the ideas I want to start exploring. Therefore., the nature of my interviews and episodes won't change at all. But I do want to start communicating some of this perspective that I'm gaining from them. I'm not yet sure what form this will take. But a bit more than a week ago, I started pinning down and outlining the broad frame that I've come to view the world and our future through. And I ended up derailing my entire week, because I ended up writing a 4500 word essay. For now it's a work in process. but at some point it could become the first chapter of my 5th book - and by the way, although I’m most recently, a science fiction writer, my first two books were nonfiction, so I do have some expereince here. But I don’t yet know if I’m gonna write another book. So this essay might become something I get out via a magazine or a website that has a bigger audience than I do. Or, it might just be the first of a series of essays that I post on my own site on an incredibly erratic schedule. We’ll see how the final product is distributed. But this early draft will be delivered … sonically. I recorded it right before recording this, and that recording is now on my patreon page. So - Patrons, I'd love your help developing the thoughts that are in it. A lot of you posted truly thought-provoking comments in connection to various episodes - above all, the Don Hoffman episode about what reality is and isn’t. After that episode, I explicitly asked Patrons for input on a set of original thoughts that I recorded and posted in conjunction with that episode. In retrospect that was kind of a pilot for what I’m doing now. So Patrons - Please tell me what you think of this first draft of the Introduction to what I might grandiosely call my own emerging worldview. For those of you who are not on patreon - this essay will see the light of day at some point, and in some form. For now I'll tell you that on the surface, it's the darkest and most pessimistic thing I've ever written. But very significantly, there's also a plot twist! yes, apparently essays can have those. Or at least this one does. So some Patrons may want to head over to Patreon now to miss the spoiler effect. Anyway, I'm a Relentless Optimist by nature. and as I said a moment ago I've NEVER felt more excited about where humankind is, and might potentially go. what makes me nervous is that some of the very technologies that we're developing 2 create a glittering future could pose terrible dangers for all of us. People have sounded the alarm about some of these dangers. And very frequently their concerns are almost unanimously dismissed by the reigning experts in the field in question. Which bring to mine Upton Sinclair’s famous dictum That it is difficult to get a man to understand something, when his salary depends on his not understanding it. Though we should update this and say it is difficult to get not a man but a person to understand something for thess same reasons, I do believe there's a great deal of Truth in this statement. Now, the way Sinclair phrases is a bit cynical, Because it implies that people glad sell their own beliefs to the highest bidder. And I don't view this phenomenon like that when I detect in people who are shaping technologies that could spin out of control. Instead, I think these folks know their own motivations, know their moral compasses, and those of most of their colleagues. And they know ] these intentions to be pure. The other thing is that they know they have the bad guys completely overpowered. The folks on the top, inventing edge of our exponential Technologies like Computing ,artificial intelligence and synthetic biology have gotten there via decades of learning and practice that often dates back to their childhoods.. And the sorts of lowlifes who’d like to kill thousands of people, millions, or billions, probably lack even a college-level level understanding of the field. So how’re the bad guys ever gonna catch up? The downside with exponential technologies is they improve with such Compounding speed that our minds just aren't wired to accurately predict where they could take us. Even in a reasonably short period of time. For just one of countless examples look at what some of the most brilliant people in the world were saying about the Internet’s future 25 years ago. The other thing about exponential technologys is that they diffuse VERY rapidly. And when you take those two factors together, you have this amazing situation that simply hasn’t happened before in human history. It’s this. The smartest richest and best connected person working within an exponential field currently has access to technology which is less 1% as powerful and as capable as what an 8th grader is gonna have in a couple of decades. Things just don't stay in the carefully Vetted sanctums of their brilliant and virtuous inventors anymore. Instead They become a hundred times more powerful And a thousand times cheaper and spread to the farthest corners of the world. This means the worst things a given exponential technology might be capable of in 25 years is way beyond the predeiction capacity and probably the imagination of anybody today. And those things will be in the hands of an intractably large group of people. Which means an intelligent well-meaning consensus amongst a narrow group of brilliant experts in this primitive year of 2018 can't possibly foretell what will become of their inventions. Now the relationship that any smart person is likely to have with this situation, and their willingness to accept it, is inevitably distorted - because for decades the worst thing that could happen to humanity on short notice has been an all-out nuclear war. And of course that remains the case. But awful as nukes are, this is a pretty encouraging example. The technology has proliferated. But only to a tiny handful of countries. And not a single Atomic weapon has been used in anger in over 70 years. These are uplifting, and rather astonishing facts. And they’re GENuine cause for optimism that we’ill be able to navigate the dangerous of tomorrow Technologies. But. nuclear science is not an exponential field. It still takes the resources of a nation to make a sophisticated warhead and mount it on a reliable delivery mechanism, like a missile or bomber. And the number of people in a position to pull the trigger - or stated another way -- the number of people who NEED to REFRAIN from pulling the trigger is incredibly small. But this won’t be the case with all of the massively powerful technologies of teh intermediate fruture. And at some point, something - and I certainly don't pretend to know exactly what - Will spin out of control in a way that willempower a far larger numbers of actors do terrible things if they wish. And these actors will be minuscule configurations of people compared to the nation states which have a monopoly on nuclear weaponry. So let's get back to that Relentless optimism of mine. It probably comes crackling through almost every episode that you've heard on this podcast. Because of the countless astounding things that our guests, and other people in their fields are doing - we’re on the cusp of an extraordinary. human flourishing. I could go on for hours about why I believe this, and why I feel incredibly blessed to live in this moment. But I need to wrap this up. And let’s face it - I’ve gone on about all wonderful stuff for dozens and dozens of hours by making this podcast series . So this dichotomy that I hope to explore a bit more, outside of the context of my episodes and interview This of awestruck optimism temper by terrible concern that the greatest ero in human history could be aborted if we're not very careful. Ironically, by some of the very marvels that would enable it. Now - as we know, I’m busy. So it might actually be months before I write another essay. But this area od thinking is the third reason why I’m really ecxited to keep this podcast going. Anyway. Thanks for listening. Patrons please join me on Patreon, and share you thoughts about my 33 minutes of ALMOST uniterrupted gloom Becaue there’s the plot twist. Andfor everybody. I have two amazing and entirely new episodes coming up for you in July.